Welcome to Sells NY Team! Margaret A. Bzdewka of Keller Williams Realty was a member of the Agent Leadership Council in 2015 & 2016. She is KW Technology Ambassador. 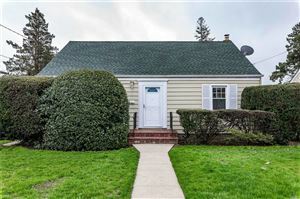 Within her Long Island community of Massapequa, Margaret has received several honors and recognition for her hard work and determined business style. In 2006, Margaret had a chapter published in “Inside the Minds of Real Estate Leadership Strategies”. As an Associate Licensed Broker at RE/MAX for 12 years, she was inducted into the “100% Club,” the “Executive Club” and the “President’s Club” for exemplary sales and service. Her 21 years of experience has made her a reputable source of information amongst the professionals in her community. Margaret’s achievements and accolades are the products of hard work, education and determination, something that has set this Long Island agent from her competition for the past decade. Margaret’s training in her field includes being an Accredited Buyer’s Agent,a Certified Property Evaluator-completing over 1,500 evaluations for financial institutions, an E-Pro professional, a Graduate of the Realtor Association, which required 90 hours of State approved classes and a Seniors Real Estate Specialist. She is a Certified Distressed Property Expert, which allows her to specialize in short sales. She holds a degree from St. John’s University in Business Management. Kevin Kelly and Steven Greenspan, NYS Licensed Salespersons, are members of the Sells NY Team at Keller Williams Realty Elite and specialize in working with buyers. 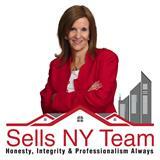 Sells NY Team's achievements and honors are not the sole reason why thousands of people have chosen Margaret and Kevin to be their real estate professionals; They have reached this exalted pointed in their career through care and compassion for their clients. "We know our clients count on us...that's not something we take lightly. Our experience and education in this field is a direct benefit to them. Their home is their biggest asset. We would want someone who puts in 100% all of the time to be the one representing us... and that's the standard we set."